At the end of mental health awareness week, now is as good a time as any to discuss the mental torment Type 1 causes people who live with the illness. When people think of Type 1 diabetes, most people think of the physical difficulties and rarely think about the mental aspects of living with it. Type 1 isn’t just about injecting yourself with insulin, testing your blood sugar levels or watching what you eat, it is also emotionally and psychologically draining by times. Personally, after my diagnosis I went completely into my shell. I took it quite badly, almost blaming myself for getting this illness, even though there was nothing I could have done to prevent it. I isolated myself from friends, stopped drinking, stopped going out, I just wasn’t in a happy place. I struggled with looking in the mirror and seeing my stomach and thighs covered in bruises, my skin did not adapt well to the insulin and injections at first, aside from the bruising my stomach was bumpy and itchy which was very uncomfortable. I also had a big issue with my weight, I went from being 45kg to 68kg, meaning that I had addition weight around my stomach which I was not used to, and this was also quite a difficult reality for me. I asked for help around managing exercise with my blood sugar levels – which unfortunately I did not receive at the time. This made things 10 times more difficult for me, exercise helps with improving your mental state and obviously is a key factor in maintaining a good body weight. So it was left up to me to figure out how to manage things. 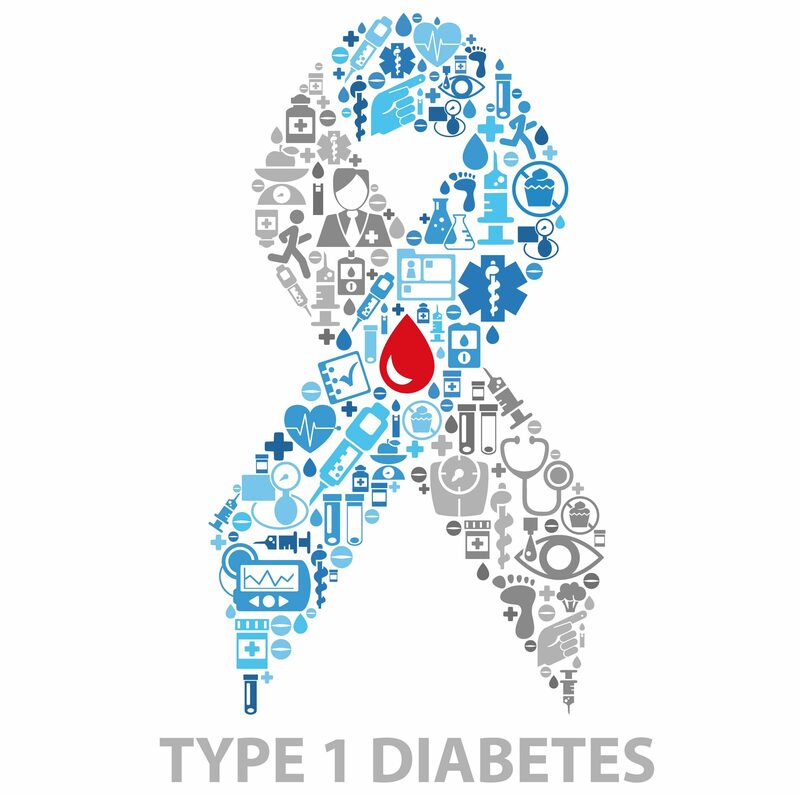 Given Type 1 diabetes is a self managed chronic condition, there is a certain amount of personal pressure associated with the illness. Medical staff can aid to a degree, but at the end of the day, it’s up to the individual living with the illness to cope and manage it correctly. If you take a single unit more or less of insulin, you’re likely to suffer from a hyper or hypo. You decide what to eat, how much insulin to take and ultimately it’s you who deals with the consequences, and this can be incredibly overwhelming. When living with T1, every day, there are huge amounts of decisions to make, little and large that will affect blood sugar readings. I could go on to list what affects these levels, but anyone who’s read my previous blogs or who lives with the illness knows that, well, everything does! As I got my head around the initial shock of my diagnosis, I thought myself a lot about managing diabetes. With this came added stress and anxiety. I’ve mentioned previously about my lack of sleep, down to the fact that a lot of the time I’m waiting for the onset of a hypo, especially after exercise. Diabetes is a full-time job, there’s no switching off and for me it is something that is always on my mind. The funny thing is, I was never a stressful person before my diagnosis, I always took things in my stride, nothing really phased me no matter how large the task. Now, however, I find that the smallest of things will get to me, I try to perfect everything, including keeping my levels within range, and when I don’t, it bothers me. I have recognised this, and try to relax myself more, to relieve some of that stress and anxiety I’ve started meditating, which I was quite sceptical about at first, but it has helped which is good. It doesn’t get easier, looking in the mirror and constantly having bruising on your stomach. It crushes your self-confidence and initially, after a diagnosis it’s about improving your feeling of self-worth, and get to a state that you are happy and comfortable with, for some people this might happen quickly, but for others, like me it’s a journey that I am still on. My weight has normalised (62kg), my stress levels are slowly reducing, and with exams finished, my levels are normalizing again. I’m getting there, it’s important to remember that there will be down days, days when you resent this illness with every fibre of your being, and when these days occur, you’ve got to allow yourself to realise that feeling this is natural, it is necessary almost to acknowledge that Type 1 is one of the most overwhelming thing to deal with, and know that everybody close to you is there to open up to if it’s all get too much.